Even someone as sweet and approachable as LC doesn't want hands on her bump. Don't you wish more people considered these points? 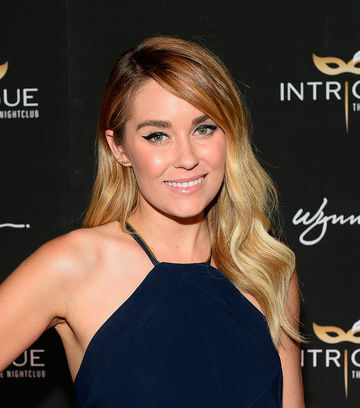 Lauren Conrad is one classy lady, so when she lays down the etiquette law, we know it's going to be good. That's why we were so excited to see that the star (who is expecting her first baby!) decided to write a blog post schooling readers on the things they should never say or do to pregnant women. As a newly pregnant lady, Lauren is probably catching on to an issue expectant mothers have faced for years and years: When it comes to their interactions with pregnant ladies, people tend to cross the line. A lot. This starts even before a pregnancy is announced. How many of you have heard questions like "so when will you have kids?" or "when are the babies coming?" right after your wedding? Lauren pointed out that it's not in good taste to ask these sort of questions because you never know what someone is going through. Maybe you've asked a woman who is struggling to conceive—or a man whose wife just miscarried. Or maybe you're asking someone who is in that vulnerable first trimester of pregnancy and isn't ready to share the news yet—or who is simply choosing to be childless. Whatever the case may be, inquiring about someone's parenting plans? Not a great idea. Another thing that's all too common? People asking women to about their due dates when they not actually pregnant. See: Jenna Bush Hager, who recently had to slam pregnancy rumors by assuring people that she had just eaten a large dinner; Jessica Biel, who claimed she just has "a gut" (wait, WHAT?) in the wake of pregnancy rumors; Peta Murgatroyd, who pointed out that women tend to look a little pregnant even after they've delivered...the list goes on forever. A slightly bloated belly doesn't always signify a pregnancy, and it's just not cool to assume someone is with child. Lauren also touched on a few of the issues women face after they've announced their pregnancies. Commenting on the size of a woman's bump, for example? Yeah, it's not cool. Telling someone she looks "huge for six months" or commenting on how "tiny" a woman's bump is not kind. Remember that all pregnancies look a bit different, and there's no "right" way to look at any juncture. Lauren's last piece of advice? People just need to keep their hands off the baby bump. It seems like every pregnant woman ends up with some unwanted, totally invasive hands on her belly at least once. It's this crazy phenomena—people generally seem aware of how boundary-crossing it would be to approach a perfect stranger and start rubbing her stomach, but when it comes to pregnant women, that tenet of basic decency just flies out the window. Since Lauren seems to be in the early-ish phase of pregnancy, we can only imagine that she'll add a few more "do nots" to this list before her due date. Are there any other "things you should never say/do to a pregnant woman" you would add?